We do have a good amount of storage in the bathroom; shelves in the bath/shower area, cupboards under the sinks and shelving for towels etc. 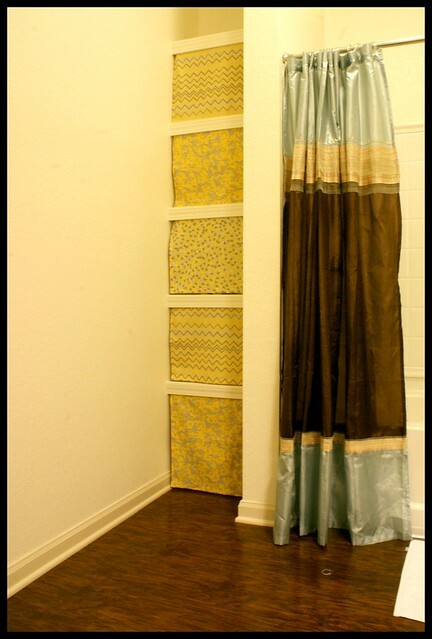 As I like everything to be hidden, I didn’t love having our towels and bathroom bin being on show so the second part of our little bathroom makeover involves the creation of shelving ‘curtains‘. ‘Curtains‘ being italicised as they aren’t really curtains, they don’t open but they do the same job as a curtain! Once again, I needed a plan to help me with the measurements. 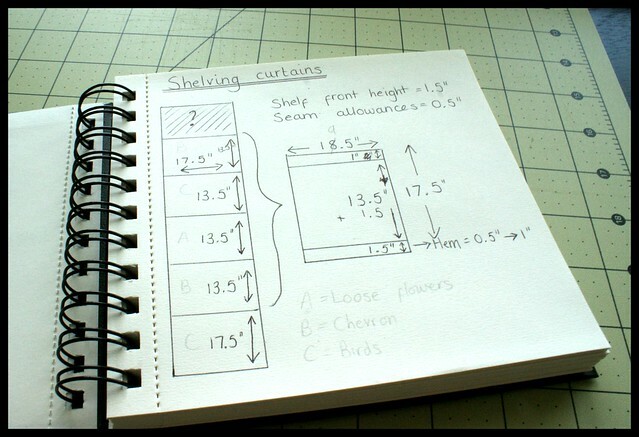 I ended up changing one measurement so that I could have a double folded 1/2″ hem on the sides of the curtains. 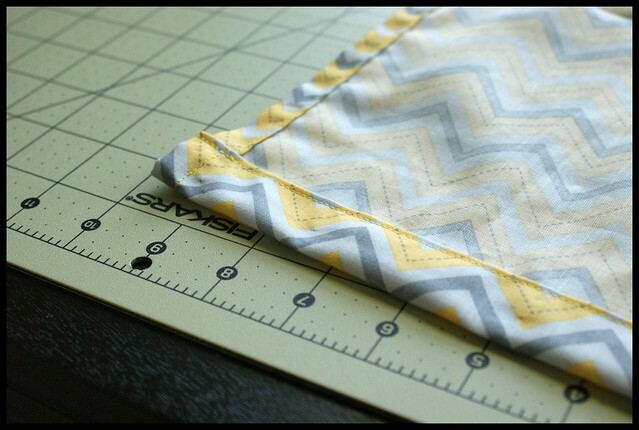 The bottom hem was folded 1/2″ and then 1″ to make it slightly heavier, allowing the fabric to fall properly in the shelving space. 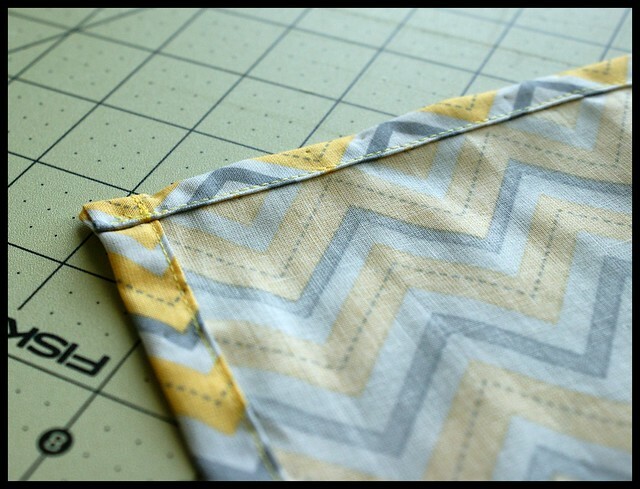 The sides and top were folded 1/2″ twice, and then stitched. Four fluffy pieces of velcro were stitched onto the right side of the fabric. 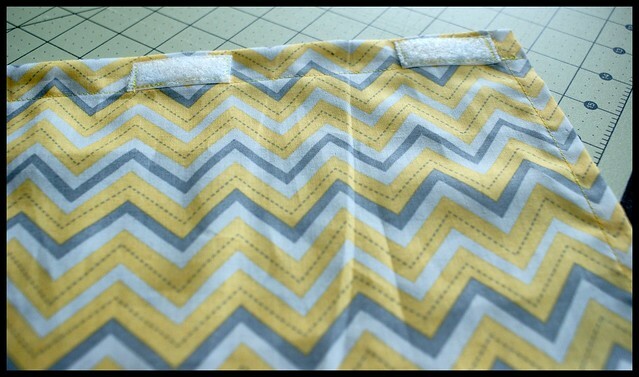 I then attached those little sticky velcro dots to the inside edge of each shelf, matching the velcro on the fabric. That’s it! Easy Peasy 🙂 A little bit more yellow added to the bathroom! Again apologies for the ‘dull’ final photo! What a great idea. 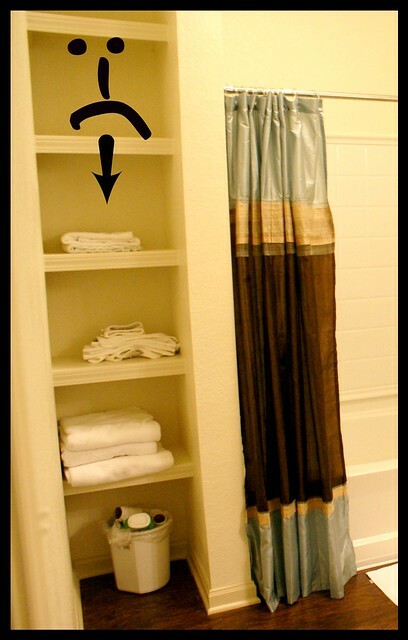 Really looks nice and hides all your bath towels, etc. Thanks for the idea. That looks really good! Nicely done!